Welcome to Mumbai’s second Youth Parliament event. If you have ever wanted to propose a Bill in Parliament, ask a Minister a question, or critique the Government, here is your chance! This Mock Parliament aims to bring together South Mumbai’s brightest youth to get an idea of what really goes on in the Lok Sabha, and a never before insight into parliamentary procedures. We want you to discover your passion and political leanings. Even if you have never debated before or have never had a chance to voice your opinion earlier, here is just the opportunity to take a strong stand and get your voice heard. 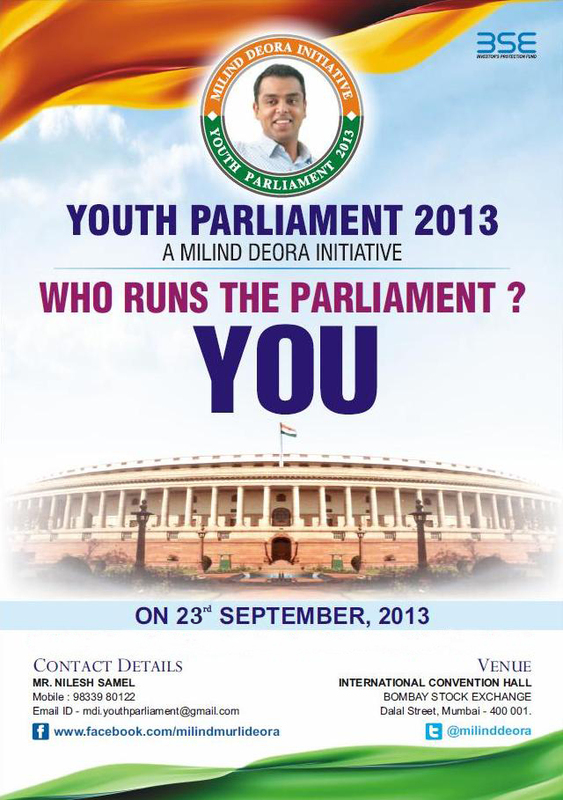 Click here to view the Youth Parliament 2013 brochure for further details. Click here to download the Youth Parliament 2013 PPT.